Kalliath's Organisational Behaviour, 2e continues to combine the strength of organisational behaviour's practical application approach with organisational psychology's basis in research scholarship. This text is written by a truly authentic global and regional author team, and reflects on their varied cultural and theoretical backgrounds and extensive teaching and research experience across Australia, New Zealand, Hong Kong and India. 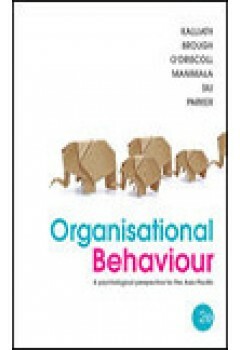 Organisational Behaviour, 2e has a number of pedagogical enhancements that help students to conceptualise practical applications through real-world examples, features and hypothetical case studies. The enhancements include Streamlined Learning Objectives, New Feature boxes titled 'Reflective Practitioner' in each chapter and Focus Questions with model answers in the Instructor's Manual. This new edition, also features a new chapter focusing on research methods in organisational behaviour and half chapter inclusions for Job Design and Occupational Health.